Mother and Child is a drama film produced by Lisa Maria Falcone and Julie Lynn and directed by Rodrigo García. The film was released in May 2010 and runs for 125 minutes. At the age of fourteen, a young girl named Karen, played by Annette Bening, gets pregnant and reluctantly puts her daughter up for adoption. As a result, Karen experiences feelings of regret and anxiety throughout her life, and eventually meets a man named Paco, played by Jimmy Smits, whose companionship helps calm her. Karen’s daughter, Elizabeth, played by Naomi Watts, grows up to be a cold, independent, headstrong attorney working at a law firm managed by a man named Paul, played by Samuel L. Jackson. The two have a romantic encounter, and she ends up getting pregnant. Elizabeth leaves the firm without revealing her pregnancy and searches for a new home and job. She then writes a letter to her biological mother and submits it to the adoption agency that placed her. Meanwhile, a baker named Lucy, played by Kerry Washington, is unable to have children and hopes to adopt. She reaches out to the adoption organization and meets with a potential mother, but the woman decides to keep the baby. Elizabeth passes away during childbirth. When no relatives come to take the baby girl in, Lucy adopts her. Karen learns of Elizabeth’s passing and finds her letter a year later, which reveals the name of her granddaughter. Karen meets Lucy and her daughter, Ella, who coincidentally live in the same town. 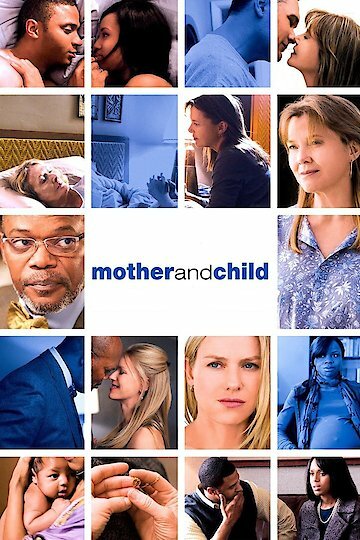 Mother and Child stars Annette Bening, Samuel L. Jackson, David Morse, Jimmy Smits, Kerry Washington and Naomi Watts. The film is a production of Everest Entertainment and Mockingbird Pictures. It was distributed by Sony Pictures Classics. Mother and Child is currently available to watch and stream, download, buy on demand at Netflix, Amazon, Vudu, iTunes online.